The Shrill Carder Bee - our most endangered bumblebee, is exquisitely beautiful. This rare creature is featured in a repeat mirror image pattern with a border of emerald and midnight blue on ivory silk twill. 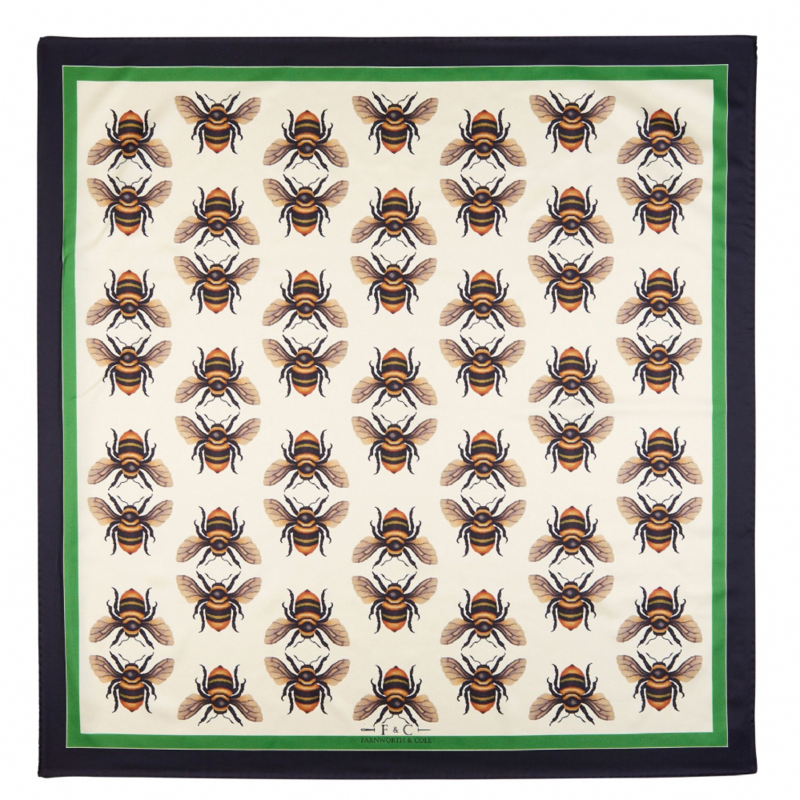 Bees are the symbol of wealth and prosperity. Each scarf is boxed and wrapped in tissue paper.